The Base Chakra. Find Out More About The Best Essential Oils To Use. 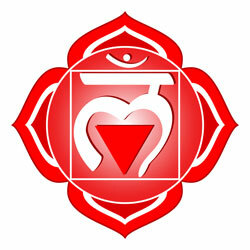 The base chakra, also known as the root chakra, is about the basics of life. In Sanskrit, Muladhara literally translates as 'root'......if we can imagine how important the root system is to a tree......it literally could not live without it, we can begin to understand how important this first chakra is. It is located right at the base of the spine, at the perineum. You have probably seen pictures of yogis sitting in the traditional cross-legged, or lotus position. This is so that the root chakra physically touches the ground as they meditate. The root chakra is all about empowerment, stability, survival and physical health...... loving yourself as you, connecting to the physical world, having the courage to make the right choices and loving life! A balanced first chakra helps you feel a sense of community, emotionally secure and able to move forward with your life. When it is out of balance you may feel isolated, insecure and ungrounded. You feel a need to surround yourself with materialistic things to keep yourself safe. Is Your Base Chakra in Balance? Constipation, obesity, sciatica, immune disorders and hemorrhoids. Anger, depression, frustration, insecurity and self-indulgence. The best essential oils to use with this chakra are warm, earthy, sweet, grounding and restorative.